This story has been updated to include comment from the Agriculture Department. Chearice Vaughn, who works at the Agriculture Department headquarters’ South Building in Washington, arrived at her job one morning last month and noticed a "Do Not Enter" sign, warning of unspecified renovations that would occur in an office that adjoined her own. The employee of the department’s Office of Rural Development went about her day. But a week later, when she arrived at work, she found that the work was far more disruptive than the original sign implied. Vaughn, an American Federation of State, County and Municipal Employees Local 3870 representative who suffers from asthma, said that later that day, she started feeling tightness in her chest, so she took sick leave to go to the doctor’s office, where she received two breathing treatments as a result of the fumes. She and other Agriculture employees decried the agency’s belated and tepid response to a workplace hazard, which is complicated by a recent decision to significantly curb telework. On the following day, Vaughn said she requested that she be relocated away from the renovations, but it took multiple days to find a suitable office. Before Agriculture Secretary Sonny Perdue moved to reduce workers’ ability to telework from nearly full time down to once per week, Vaughn worked from home two days a week. Since the new policy was unveiled, Vaughn and others have filed a labor grievance against the department over the change. Until the grievance is resolved, she must commute to the office every day. Vaughn said that management has been reluctant to grant her colleagues the ability to telework, even as renovations and lead abatement continue. In a statement, the Agriculture Department said it is committed to providing a safe working environment and denied the workers’ allegations. “Rural Development national office renovations have been ongoing and proper notifications were made to personnel from supervisors,” the agency said. Another USDA employee, who asked to remain anonymous, said the lead abatement activities have acutely exacerbated an existing medical condition. Even after notifying superiors about the extent of the problem, the employee was only allowed to telework until a new workspace in the building could be found. The employee speculated that if this incident had happened before the telework policy change, managers would have been far more flexible with those who encountered health problems. 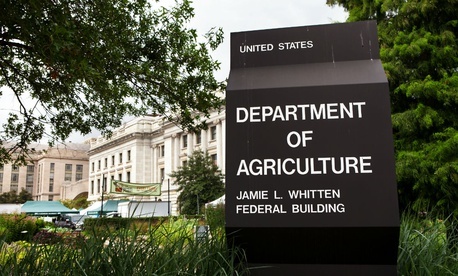 USDA said officials worked to accommodate employees negatively affected by the renovations, including finding alternative office spaces, “hoteling stations” or ad hoc telework. Agriculture employees said the lead abatement issue is just one example of how the new telework policy has strained employee-manager relations and eroded morale and engagement. A second USDA employee wishing to remain anonymous said the new policy has completely upended work-life balance. Department officials have shown no signs of reversing the policy. Juan McCoy, president of AFSCME Local 3976, which represents employees in the Foreign Agricultural Service, said the agency has not yet imposed the new telework restrictions on that branch, but collective bargaining agreement negotiations on the matter are planned for the coming months. The force with which agency leadership is pursuing its goals to roll back telework baffles McCoy, particularly in light of its stated justification of improving customer service.